Actually, this one is in Charles St, just around the corner from the Mall. It took me a while to be sure there was actually something there. Every time I go from home to the city centre, or the other way, I go over Kings Bridge or the overpass that runs beside it, so I have to look at this. Terrible, I know. Ghost signs: painted advertising on the sides of buildings. Wikipedia for more information. I went through my photos to find all the ones I've photographed around Launceston. I'm using a broad definition. Some are new/in good condition. Some are so faded it's hard to tell if they were advertising. First the location, then a close up of the sign. Not unreasonable to guess that's when the sign dates from. of Brisbane St, because I found them while looking for something else and therefore have to show off the pretty city. 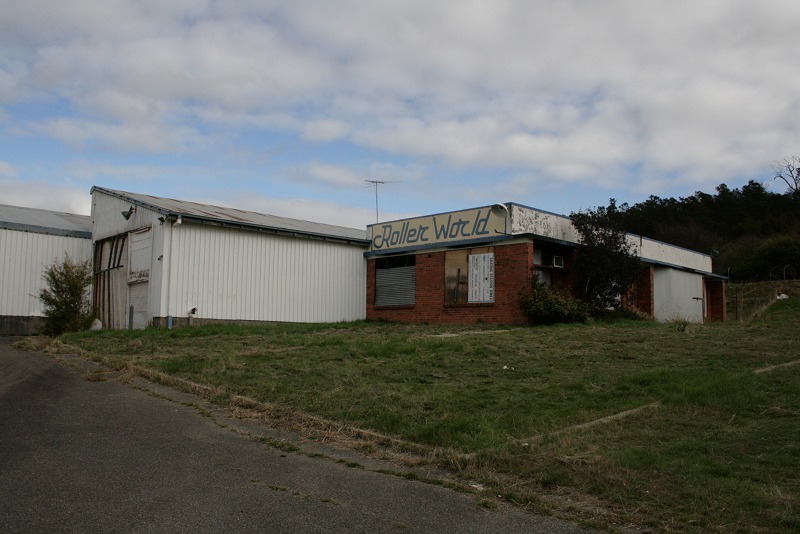 Former Roller World skating centre, Merino St, Launceston. Anyway, the Merino St site seems to have closed about 2005. An archived copy of their website was last updated November 24. Then in February 2005, City Mission was looking to buy the site to replace their Youngtown warehouse after it burnt down. The fire at this site was in 2009. That we can't remember this, even though it was just a few years ago, probably shows how roller skating has declined in popularity. I assume the fire is why the buildings is so well closed up now. No useful broken windows or gaps in the timber to take photos through. Today I came across this little announcement, and the tone of it caught my attention. Without wishing to unduly alarm the residents of the low-lying portions of Inveresk, I wish to notify them that both the North and South Esk Rivers are rising very rapidly, and that there is a possibility of Inveresk being flooded this afternoon or tonight. If there are signs of water going over the embankment, the Post Office Clock will be tolled for half an hour, and residents living on the lower portion of Inveresk are advised to leave their houses immediately the warning is given. Originally it appeared in a special edition of the Examiner, although I came across it in a little book The Tasmanian Floods 1929, Compiled for the Government of Tasmania by William Judd. 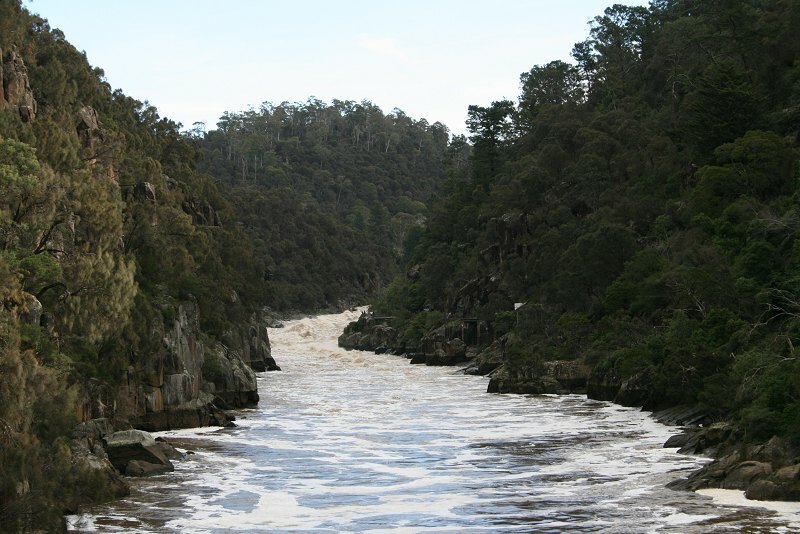 The 1929 Flood was the worst natural disaster to hit Launceston. In order to alert residents in threatened areas of the danger, a special one-page issue of the local newspaper (the Examiner) was printed and distributed to all the houses the day before, as in hours before. The above announcement, written by the Mayor, appeared in this issue, along with a request from other residents to provide assistance. The problems of communicating with the masses, before TV and widespread radio. It was a pitiless night. The rain was falling in torrents, and a strong wind was blowing, but the first disaster came before mid-night, in the failure of the electric supply, and the plunging of the whole city into Cimmerian darkness. The flood waters had submerged the local station – later they destroyed it – and had broken down the Hydro-electric mains, so all hope of securing electric light had to be abandoned. And then the dreaded summons of the alarm bell. Launceston is proud of its centenary chimes, and of the deep sonorous notes of the big bass bell, on which the hours are struck, but few who heard it slowly tolling in the very early morning hours of the Black Saturday will ever forget the sense of impending disaster that it created, especially when it was joined by the harsh clanging of the fire bell. He goes on to describe the arrival of volunteers with their cars, and how they waded through water and rain to rescue the residents, and then later in boats. Fascinating details of an event I'd grown up hearing about, and seeing photos from, but never had it brought to life like this little booklet managed. Thursday morning we had to be done in the hotel foyer, packed and ready to go, at 5 minutes to 6. Yeah, that's what I thought. The hotel shuttle bus picked us up form there, dropped us at the Skybus depot at Southern Cross station and we were taken out to the airport. Exciting, I know. At the airport, we went to check-in at Qantas but we were booked on JetStar. Oh well. That's a JetStar plane, but not ours. 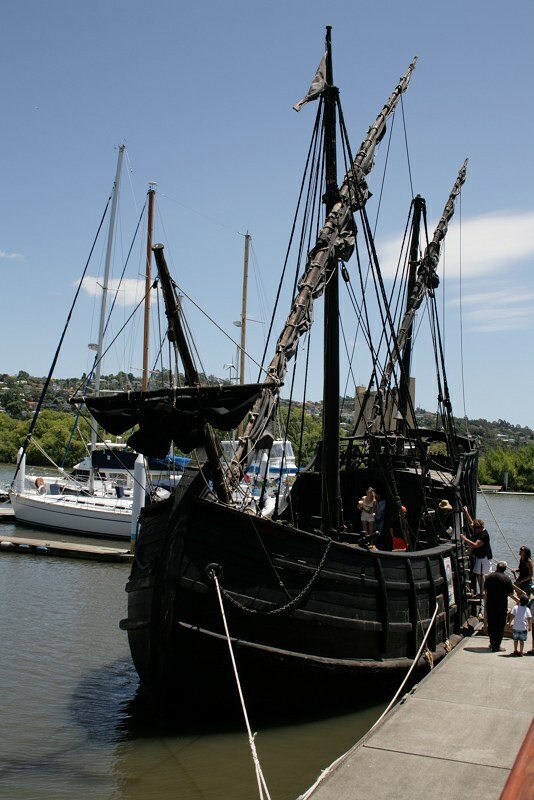 Continuing with Victorian-era Launceston from the other day, but I'll start with something other than a photo. I shall start with a print from the State Library of Victoria of the exhibition buildings stretching back into the city park. The Tasmanian International Exhibition in Launceston opened in 1891 (because everyone else is having International Exhibition and we have to get in before Hobart.) There's a bit more about it here, but note the attendance figures given there: 262,000 visitors, for a new city of 17,000 people. 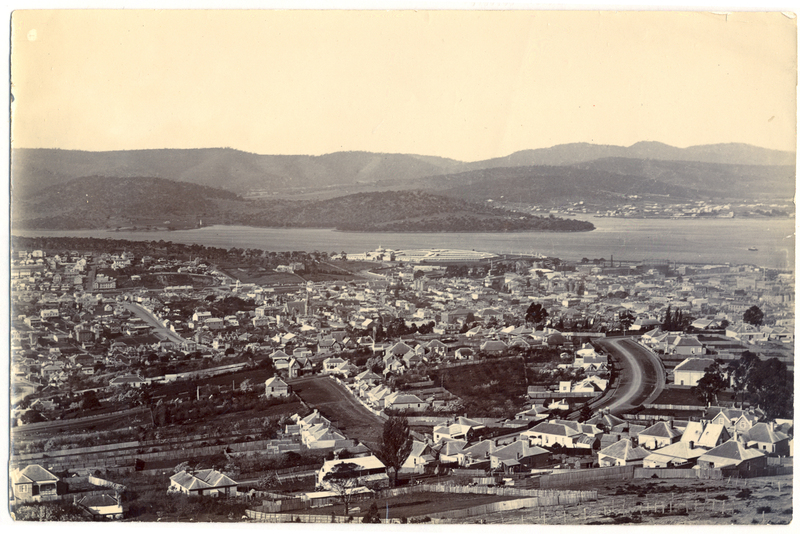 Hobart's International Exhibition was held a couple of years later, in 1894/1895. You can see their exhibition building. There, over the back. It's obvious one you find it. Closer view :) It's not there now. All gone. 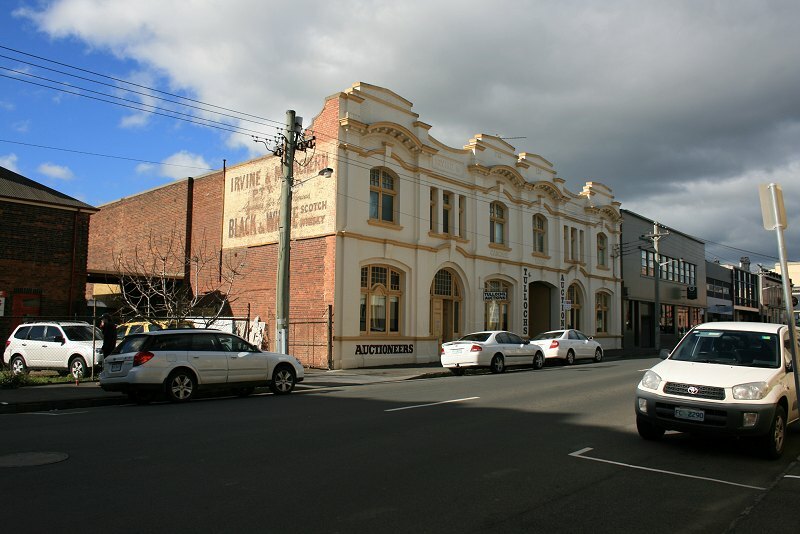 Of course, Launceston's main building still exists. So Launceston, main urban centre in northern Tasmania, population somewhere between 80-110,000 depending on how you measure it (city council says 100,000). Wikipedia would have it as 17th on the list of Largest cities in Australia, so I guess that makes it one of the larger regional cities. Huh. 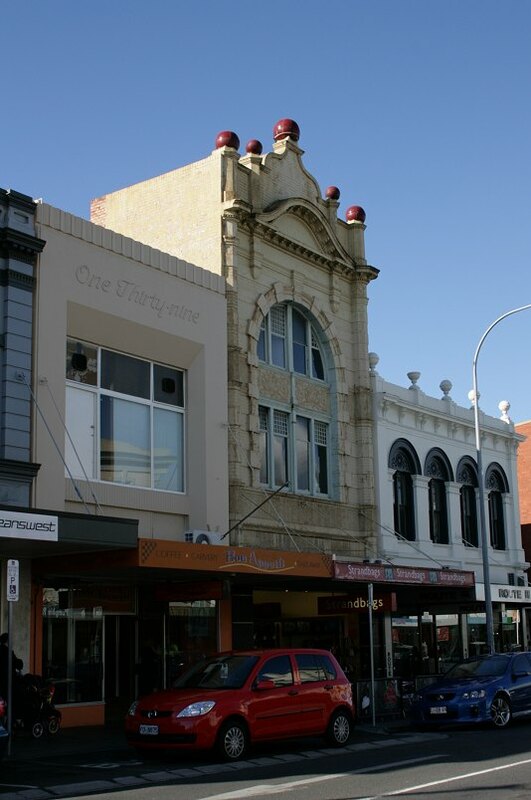 Launceston benefited from the mining boom of the last 19th century, and officially became a city on 1st January, 1889. Most of the city's large public buildings date from this period, and many commercial buildings were constructed and developed. Successive decades didn't bring the development pressures of larger/faster growing cities, so much of the boom-time architecture remains. (The city's motto is "Progress with Prudence" after all.) 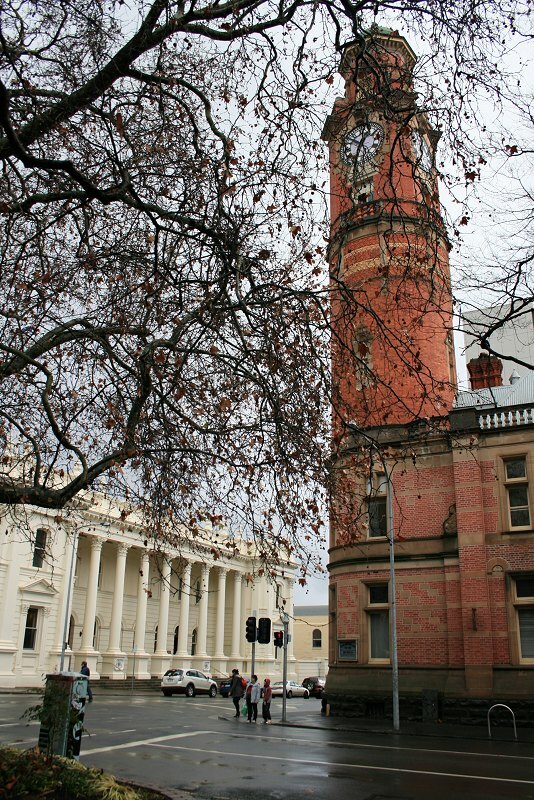 The city centre, above the lower level, is predominantly late-Victorian facades, and the grand old buildings the city streets. So this is Launceston as a late-Victorian boom city. Another photo, of the other side of the river. The second image is the better one, but I can't find a simple way to link to it. A bit earlier and not as busy, so the customs house is easy to see. Typical waterfront, with warehouses and taverns. In the modern photo, there's an empty block just to right of the red brick building, which IIRC was the location of a particularly popular pub, but I cannot remember the name to look it up. This might be of interest people who don't know about it (which is probably most people on the planet). 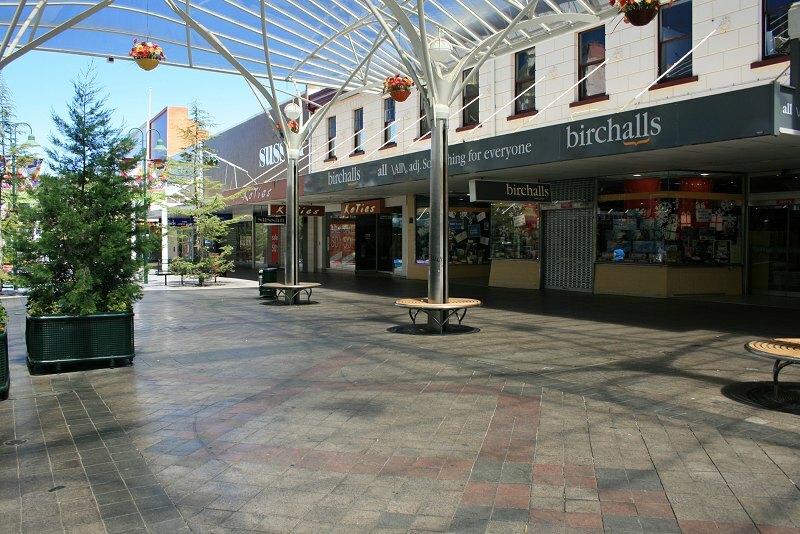 This is the Town Square, in the centre of Launceston, in Cornwall, in the UK, near the River Tamar. (Nothing interesting about that particular image, except it was easy to use, because I borrowed it from Wikipedia Commons). Which is this place. Ten times the population of its namesake, and probably one-tenth the age. The tendency of British settlers to recycle familiar place names is well known, but I think they outdid themselves just a touch there. (Interesting anecdote on the Wikipedia page about the fountain being misdirected. I haven't heard that before, but the fountain did come from France (from the World Exhibition in Paris IIRC) so it's possible. There used to be a closer connection between the two places, gift exchanges, visits by each mayor (or whatever the correct title is). I have read a note from the UK dignitary claiming that Tasmanian city is the daughter city of its UK namesake so Melbourne must be the grand-daughter city. You're seen this before. Wait! No. you haven't. I haven't seen it quite like this. Reading the Examiner today, it seems the Bureau of Met guys were expecting a 1 in 50 year flood (water levels were similar to that of a 1969 flood, until just before the city) which I guess explains the evacuation warnings, but then the Meander didn't flood so the flows in the South Esk had somewhere to go . So here it our lovely river in all its spectacular, almost-50-year-flood level glory. Also rainbow water. It did occur to me that I only ever post photos of the Gorge when it's in flood but apparently not: usual summer view. Of course it is more interesting in all its swirling, crashing, booming glory, even in mid-January. 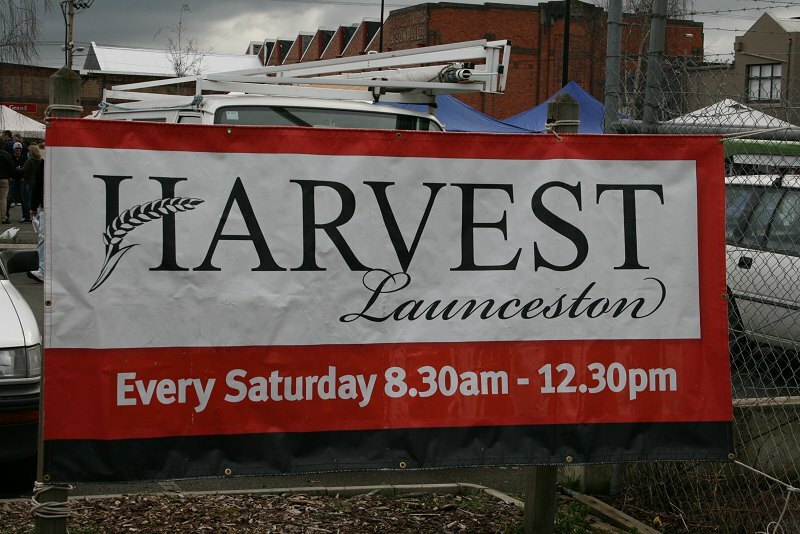 Now as I've probably said before, Launceston likes to pass itself as a respectable late Victorian city, and we don't talk about the older days, do we? Obviously that's different these days, and of course the older buildings are there, if not always obvious. There's St Johns church, the synagogue and some pubs. (Looks at that combination and laughs.) 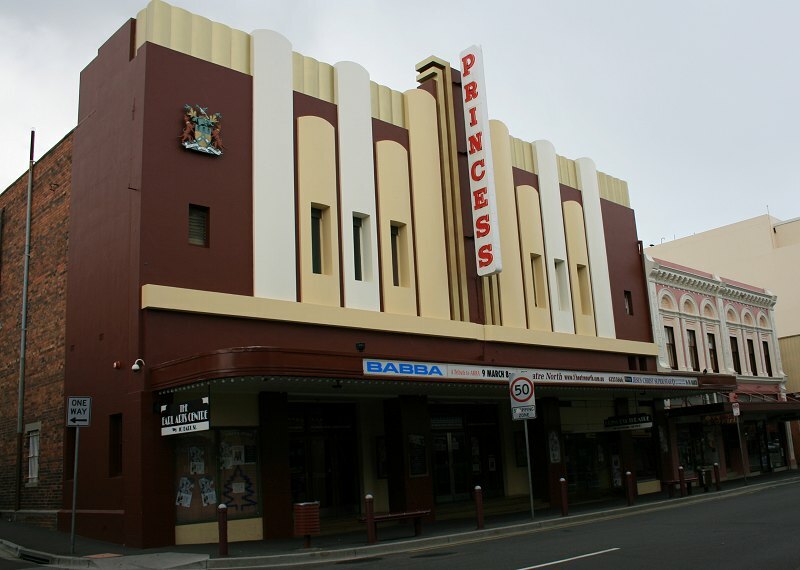 A couple of public buildings, but I really haven't done much on Launceston, have I?